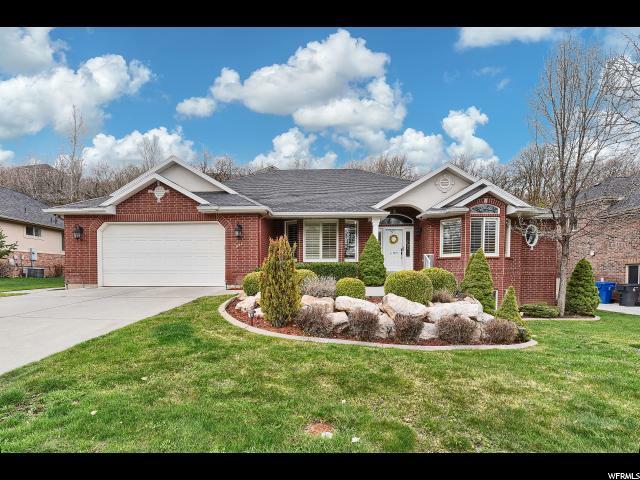 All South Ogden homes currently listed for sale in South Ogden as of 04/25/2019 are shown below. You can change the search criteria at any time by pressing the 'Change Search' button below. 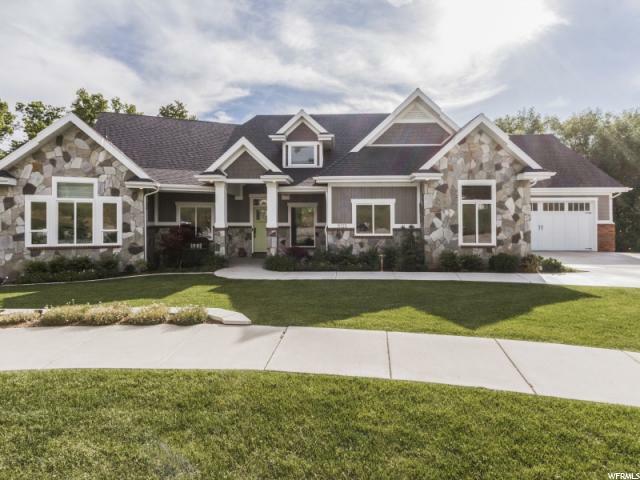 If you have any questions or you would like more information about any South Ogden homes for sale or other South Ogden real estate, please contact us and one of our knowledgeable South Ogden REALTORS® would be pleased to assist you. "Absolutely no expense spared on this mountain modern luxury home!! Everything is top of the line material and designed to last a lifetime. The staircase is all stainless steel and had to be welded and assembled on site. The glass stairs were imported from Singapore. The pool has both a low maintenance chlorine system and salt system. Pool room runs on a dehumidifying system and stays warm all year long. Gas & electric bills for the year average roughly $600/mo combined. All decks were completely rebuilt last year durability and weather proofing. Basement floor is plumbed for radiant heat but a boiler was never installed. 3rd car garage is 2 cars deep. Several areas of the home are wired for automation and use your phone to control. The list goes on and on... "
"One of a kind Custom Home on Burch Creek! This home is a designers dream. Large open Great room with lots of natural light that opens to a covered deck facing the creek. Floor to ceiling stone fireplace anchors this beautiful room. This is the builders own home and nothing is left undone. Attention to detail thru-out this home will leave you in awe. Enjoy a second kitchen for large gatherings and a second spacious great room & theater room which leads out the the covered patio and the secluded yard with fire pit. Call today for a private showing. Square footage from building plans. " "10 out of 10 Parade of Home WINNER with all the upgrades. 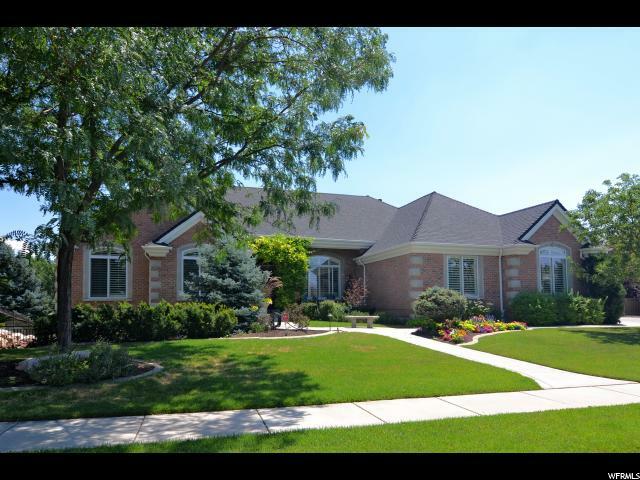 Located in a cul-de-sac on a beautiful view lot of the valley and the Great Salt Lake. Heated salt water swimming pool, lighted basketball court, hot tub, and direct access to the school park in the backyard with no backyard neighbors. The interior features 12' ceilings on the main, 9' in the basement. Large open floor plan with custom kitchen cabinets, SubZero refrigerators, Wolf appliances, two large family rooms, theater room, laundry on each level, and a large master suite w/a huge walk in closet you must see to believe. Radiant Heated floor, two HVAC's, whole house audio, theater, pool room with wet bar, additional wet bar, drinking fountain, and anything else your heart desires. Huge fully finished 5-car garage with epoxied flooring that is 48' deep." 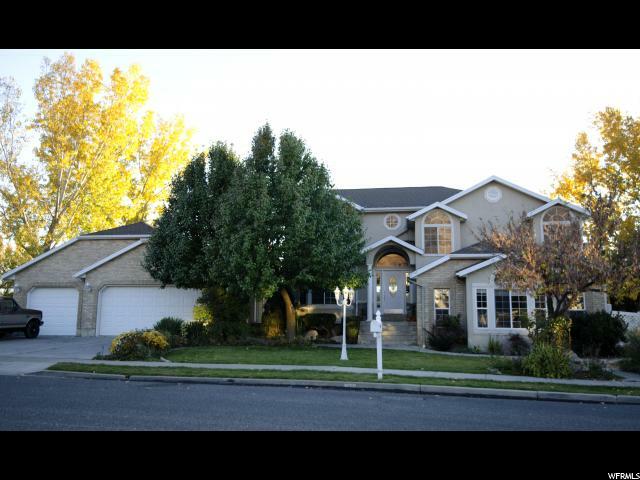 "Gorgeous South Ogden home with meticulous high end upgrades throughout. Spacious and elegant with panoramic views. Master bedroom with over-sized bathroom suite and walk in closet. Beautiful white kitchen cabinets with quartz counter-tops and a 2nd kitchen downstairs. Office with built in shelves, formal dining & living room, great room with over-sized nook; laundry on both floors! Wide staircase leading to 10ft ceilings, a large family room and a walk-out basement. Large basement storage room with finished shelves as well as storage under the garage. Extra deep 3rd car garage with heated garage floor; RV parking Backyard is fully fenced with a built in sport court. Covered deck for all your BBQ needs and no backyard neighbors! Don't miss out on this one--it won't last long!" "Exquisite, quality galore, one of a kind custom-built home!! Great family home has been updated, awesome professionally landscaped, waterfall, pond and Gazebo; perfect for entertaining!! Basketball court, playground equipment, powered 227 SF garden shed, detached 860 SF garage/shop with opener, 220/110 power & built in cabinets. Oversized attached 2-car garage. Garden area w/raised beds, area with gate could be used for RV, trailers, boats, jet skis, etc. Large master suite w/sitting area, gas log fireplace & built in book shelves. Master bath has marble flooring, 2 separate vanities, claw tub and separate shower. 208 SF walk-in closet w/built in drawers. Dream kitchen w/double wall oven (1 convection, 1 regular). Family room with 2-story windows. Fireplace pit w/custom brick work from ceiling to floor. 5 bedrooms, 3.5 baths, vaulted ceilings with open timbers. Formal living and dining rooms Approx. 5,243 SF. SO MUCH MORE!!" 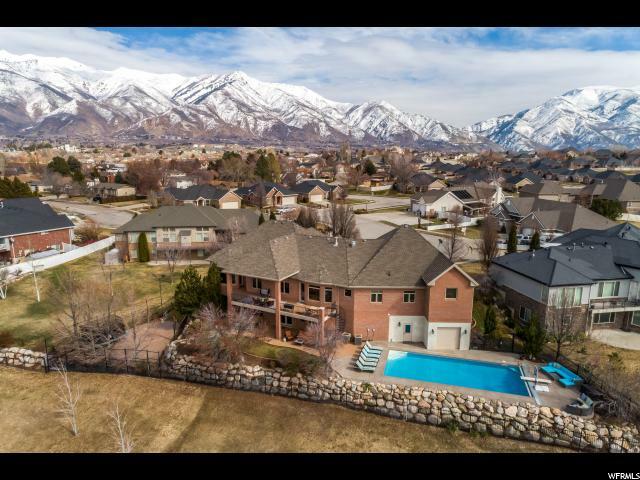 "Amazing gated community nestled in the heart of South Ogden. Open floor plan. Large windows. Unique, custom cabinets. The professionally landscaped yard surrounds the back of the home with privacy. Large master windows feel like you wake up in your own forest." 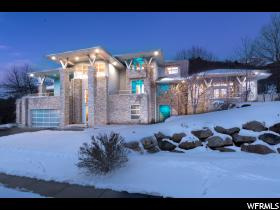 "Amazing home from a Parade of homes winning builder! Open floor plan with plenty of upgrades including 20 ft ceilings in family room, granite countertops throughout, custom tile work in the bathrooms, large walk in closet in master, spacious light and bright kitchen, instantaneous Hot Water, 4 car garage(yes I said 4), upgraded flooring, and a covered patio, just to name a few! Builder is going all out on this one!" "**Finalizing selection of finishes now. 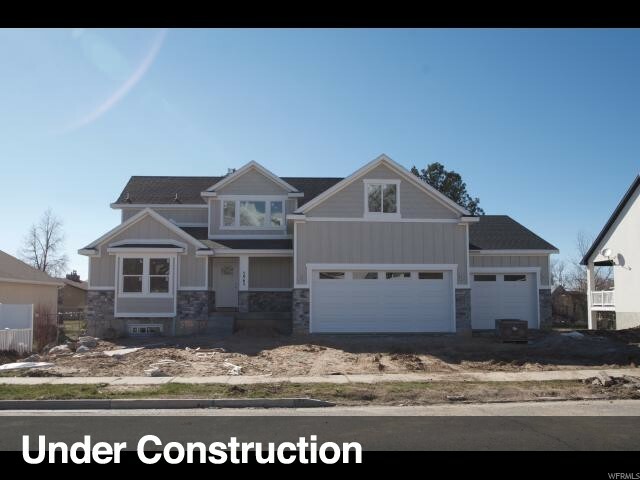 ** WONDERFUL opportunity to own a brand new property in South Ogden sitting on a half acre lot. ** If you're looking for the perfect new home, look no further. A fabulous layout with all the right spaces-- with access for single level living, including a second kitchen in the fully finished walk-out basement. This classic rambler has many upgrades that you will NOT find in your standard spec home. Upgrades include granite throughout, a beautiful white quartz fireplace surrounded by built-in cabinets, 12 ft. ceilings in the basement, high-end lighting, gold hardware, and faucets and beautiful decorative tile in the mud/laundry room, upgraded insulation & sound walls. Perched on a half-acre lot that boasts scenic views from an elevated deck off the first floor, surrounded by mature trees and landscaped yard, including a unique entryway, complete with secluded BBQ and entertaining area. A 3-car garage with extended 3rd car bay and RV pad provide ample storage, all connected by 2 separate driveways. This home has so much to offer! 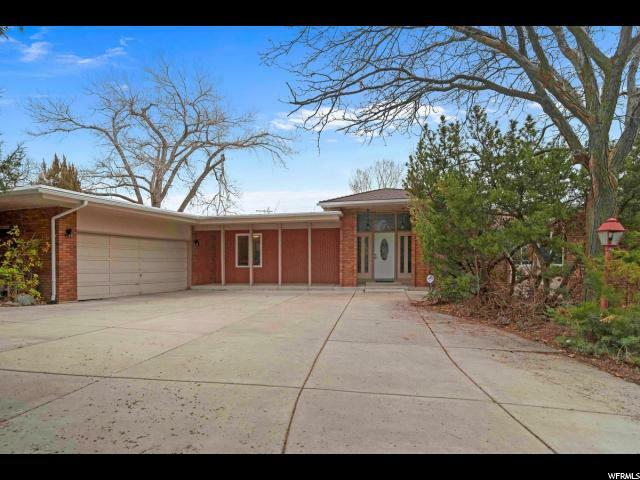 Don't miss your opportunity to live in an ideal South Ogden location." "Quality- Immaculate- Beautiful - 3474 sq ft w/ full finished basement - 7 bedrooms - Original Owner - open floor plan & vaulted ceilings - 2 fireplaces - 2 master bedrooms - Plantation Shutters - granite counter tops - 42 in maple cabinets - tile back splash - stainless steel appliances & refrigerator - 20 X 20 floor tile in main areas - beautiful hardwood floor in great room - ceiling fans in most rooms (total five) . large laundry room with upper & lower cabinets - 3-car painted finished garage with epoxy floors - Classy Closet storage - large utility sink - exterior service door. Equity Home Warranty $450 included - Home Inspection complete. Sellers Property Condition Disclosure complete. " "For Sale or Lease Option ... Home Features 3998 Sq. 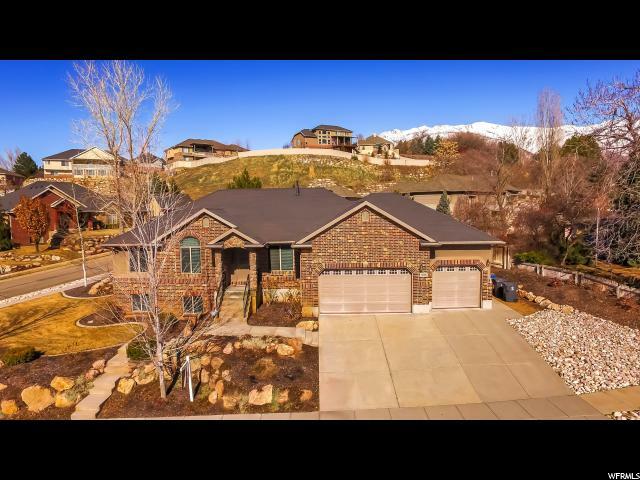 Ft. Beautiful Home in Uintah Highlands, 7 Bedrooms, 4 Bathrooms, Formal Living Room or Office, 2 Family Rooms, 1 Fireplace, Main Kitchen is Large & Open, all 7 Bedrooms are Over-Sized, Mother-in-law, Master Suite with Walk-In Closet, Jetted Tub, Shower, New Carpet/Paint on the Main Floor, Downstairs Kitchen, Possible Mother-in-Law Suite. 2-50 gal water heaters 2016,New Lennox Heat & Central Air installed 2014, Lot .43, Private Fenced yard, R.V. pad. 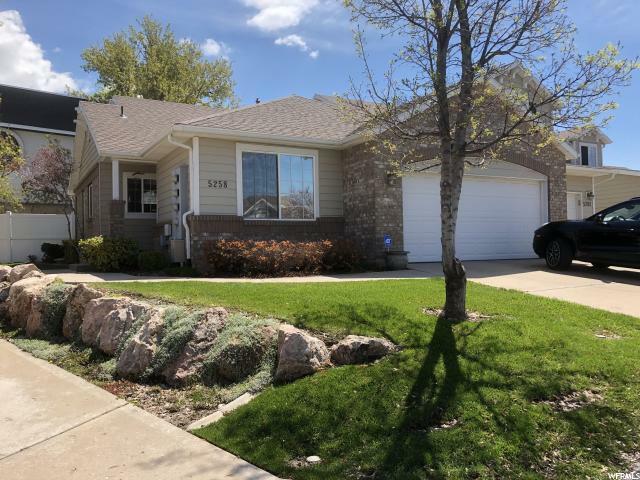 2-50 gal water heaters installed in 2016, New Lennox Heat & air installed 2014, Uintah Elementry, Owner will look at all offers including Lease Option, Seller Financing with Large Down Payment... Easy to Show Call or Text, Key-box on the Front Door, Owner/Agent..."
"This stunning rambler sits on a large lot in a very desirable South Ogden neighborhood. This home showcases an open concept floor plan with spacious living areas, vaulted ceilings and plenty of natural light. Other features include large master suite, main level office and an oversize 3 car garage with plenty of storage. The completely finished basement includes an oversize great room, wet bar and game room. You'll want to spend plenty of time outside enjoying the beautifully landscaped yard, covered patio, sports court and bubbling pond. It's hard to list all the indoor and outdoor features of this amazing home. Schedule a tour today. " "This spacious home is located in a quiet cul de sac in an amazing neighborhood. Enjoy the wonderful mountain views and the mature landscaped front and back yards, perennial pants and includes a huge side yard. This home has a spacious open floor plan for the whole family to enjoy. THIS HOME IS A CLEAN ENERGY HOME with solar. The solar system is a 12.26 kW system, 43 tier 1 panels, and is designed to produce 18,716 kWh per year. This would be a 100% offset for the current owner on an average power bill of $200 per month. The kitchen is a must see with an open feel, granite countertops and beautiful custom cabinets. Take advantage of the huge home office that has a separate entry from outside, 1/2 bath, and can be locked off from the rest of the home. Everyone will love the 3 car detached garage with extra width and height with lots of storage room above. Any car enthusiast, wood worker, mechanics, or toy collector will have plenty of space for work and play. " "Reduced! Seller negotiable. Custom 5 bedrooms, 3.5 bathrooms, 4,192 sq ft. Mother-in-law walkout finished basement w/laundry, kitchen, office, bathrooms & 2 bedrooms. Enormous 2 X 2 garage w/workshop, & indoor hoop. Central air, vac, & humidifier. Walk-in closets in 3 upstairs bedrooms. Upgraded AC/furnace, carpet, appliances/tile in kitchen & master bath, new roof. Great room, office, custom paint, bay windows, french doors, plantation shutters, gas fireplace, deck, mud room, two pantries, laundry chute, wooded lot, in-ground tramp, swing set, 9 x 25 storage. 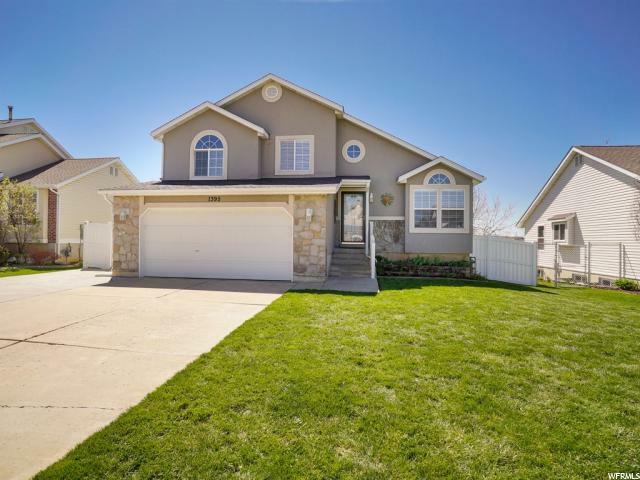 10 miles to HAFB, 2 to Weber State Univ., 2.5 blocks to elementary school." 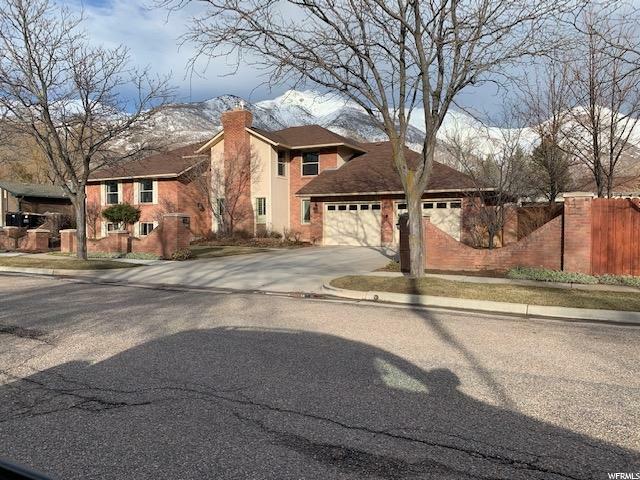 "Beautiful, move-in-ready 5 bed/4 bath rambler in highly desirable South Ogden neighborhood. Valley views right out your front door and majestic mountain views out the back! Amazing, open floor plan featuring vaulted ceilings. NEW finished basement w/ HUGE storage room. RV pad, private backyard, easy access to Weber State University, Hill AFB, Hwy 89 and I-84. This home is a MUST SEE! " 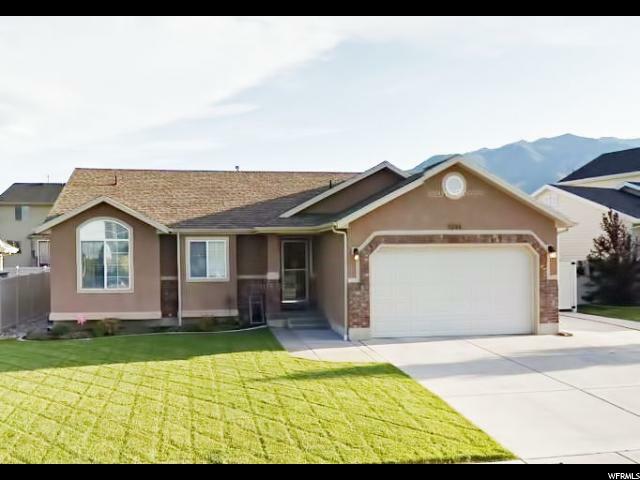 "You MUST SEE this gorgeous, updated rambler in a lovely South Ogden neighborhood! Fresh paint! New flooring! Updated bath and kitchen to include granite! You will fall in love with the open floor plan with lots of natural light! Large master suite with double closets and beautiful master bath! Covered Trex deck for relaxing and entertaining adjacent to your large, fully fenced yard! Don't miss out! Schedule a private tour today! Buyer to verify all information." 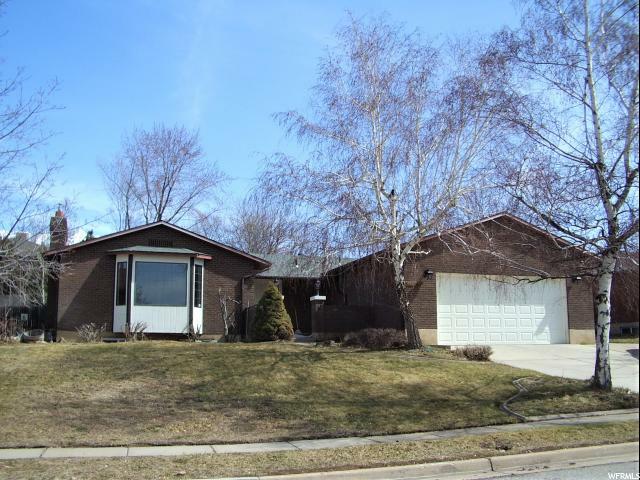 "Newly remodeled brick rambler in popular So Ogden area. New interior and exterior paint, new carpets, finished basement . gourmet Kitchen with granite, Stainless steel appliances and a built in Sub zero refrigerator, Vacant show any time Utilities are on, Owner/agent. If buyer chooses, ramp to the front door can be removed and seller will replace with side walk and a step if needed." "Unbeatable location, Secluded in the trees, very private, with stunning views - yet close to shopping and churches. Corner lot on a hill with tons of potential and circular driveway which can park 10 cars. Huge deck with a balcony and patios on the back, and a long waterfall with the pond. Lots of natural light, laminated wood floors, new appliances and plenty of storage including 10x11 laundry/sewing. Vaulted ceilings, Large Foyer and spacious living room w/gas fireplace. Square footage figures are provided as a courtesy estimate only and were obtained from the county. Buyer is advised to obtain an independent measurement." "GREAT PATIO Home located on a quiet cul-de-sac with great views of the mountains and Burch Creek stream in the back yard. 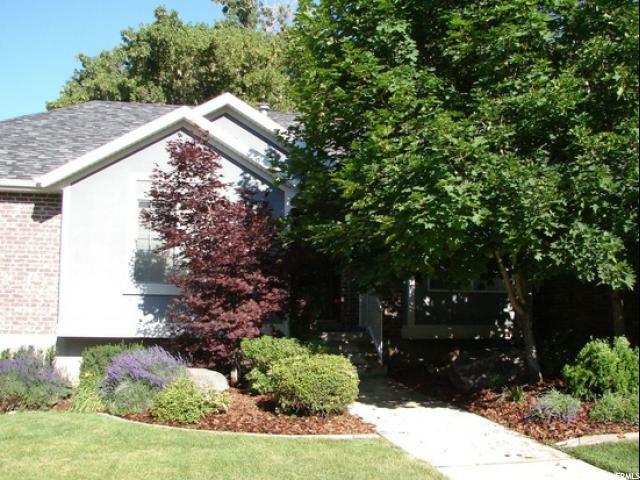 This home has been well maintained with neutral colors and is very bright with 3 skylights. 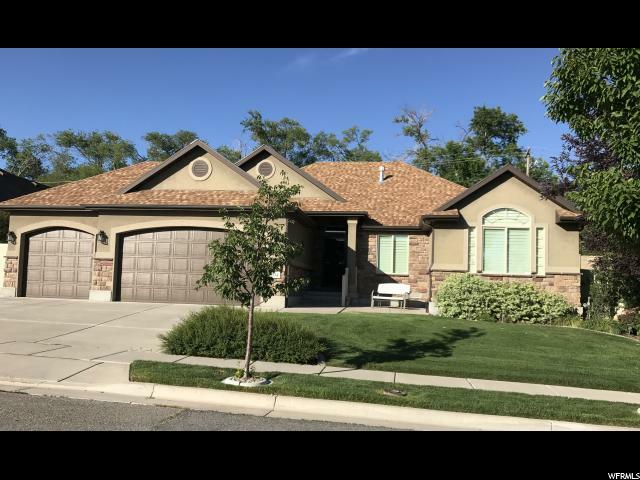 Private yard with mature around the home, very easy to show "
"Immaculate Rambler style unit located on quite cul-de-sac lot is South Ogden. Semi-private patio, newer central air, new refrigerator and water heater. Hardwood floors in kitchen with granite counter tops and stainless steel appliances. 4 bedrooms , 3 bathrooms. all bathrooms have tile floors and surrounds. Master bath has new, upgraded, giant shower and granite counter tops. Great Room with fireplace on main level. Large family room and exercise room in basement"
"All brick and well-maintained rambler, located in a quiet subdivision with lots of mature trees. This home has been updated with a new furnace, water heater, roof, windows and appliances. 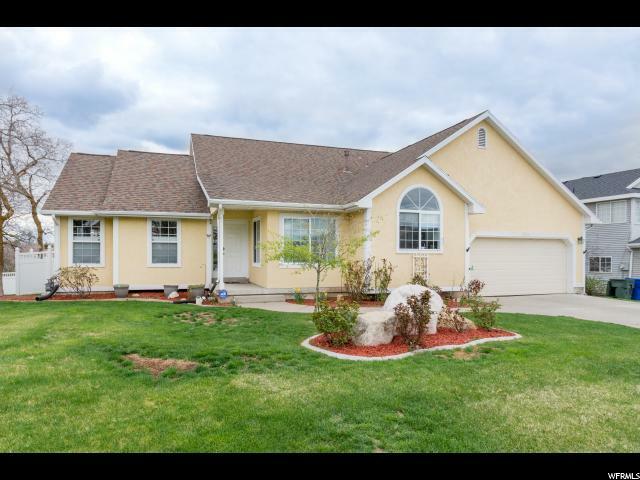 Neutral colors and very easy to show "
"Peaceful, private South Ogden home. No backyard neighbors! Mature trees line the fully fenced backyard, with South Ogden Nature Park behind. Within walking distance of trails, playground and splash pad! Beautiful mountain views, large Trex deck, vinyl fencing, RV pad and storage shed. Kitchen features stainless steel appliances and newer tile. Newer carpet, gas fireplace, and ceiling fan in living room. Master suite with large walk-in closet, soaker tub and separate shower. Original owner; home has been well-cared for. Home warranty included." "This charming 2-Story Condominium has just completed a beautiful transformation including new paint, new carpet, new luxury vinyl flooring & new granite countertops to name a few! Featuring 4 bedrooms and 4 bathrooms go ahead and invite the guests over to stay awhile! There is a private balcony off of the oversized master bedroom and a covered patio off of the main floor. Tall ceilings and a nice loft upstairs contribute to the open flowing floorplan. There is plenty of storage space in the finished basement where you will also find a new furnace and new water heater! Schedule your personal tour today!" 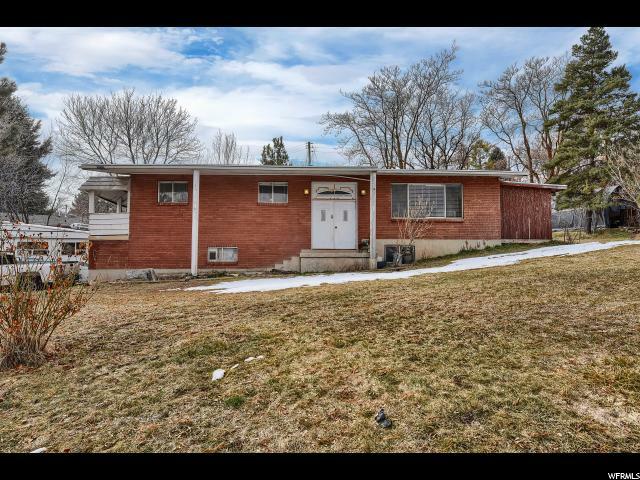 "Charming South Ogden home on Large Lot in lovely quiet neighborhood. 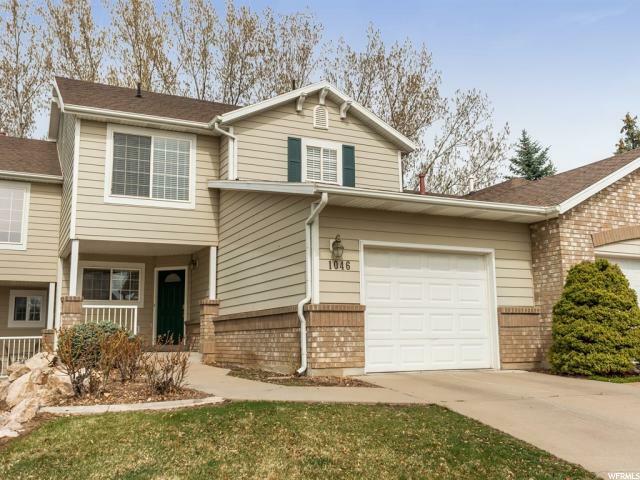 Enjoy living close to shopping and entertainment but also to all the outdoor activities the nearby lakes, golf courses, rivers, hiking, biking and skiing that is less than 30 minutes from this home. Square footage figures are provided as a courtesy estimate only and were obtained from county records. Buyer is advised to obtain an independent measurement." 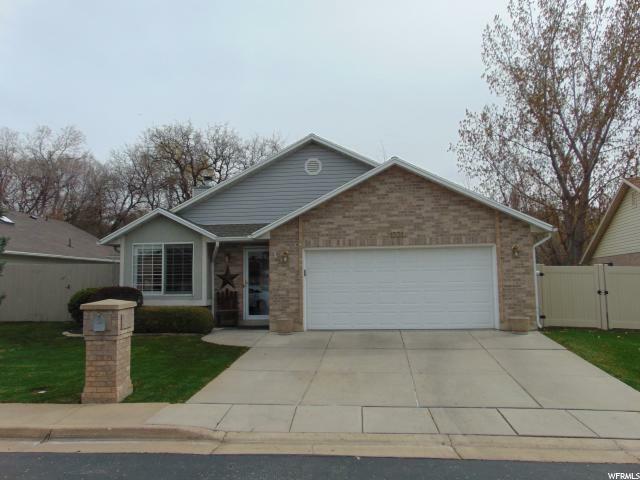 "Lovely end-unit condo in a clean, safe, desirable South Ogden neighborhood! Don't let this one pass you up! These Springtree units do not go up for sale frequently and don't last long. Awesome location with gorgeous mountain views!!! This rambler style home features 3 bedrooms, 3 bathrooms, a formal living room, den, 2 fireplaces, covered patio, and an attached 2 car garage with ample storage. Minutes from Weber State and not far from Hill Air Force Base. Square footage was taken from the county records and is provided as a courtesy only. Buyer to verify accuracy of all information. Call today for a quick showing!"